Achetez ce produit maintenant et gagnez 99 Points ! Buy this product now and earn 99 Points ! Comprar este producto ahora y gana 99 Points ! Koop dit product nu en verdien 99 Points ! Kaufen Sie dieses Produkt jetzt und verdienen Sie 99 Points ! Acquista questo prodotto e guadagna 99 Points ! The essential complement to the hair powder. 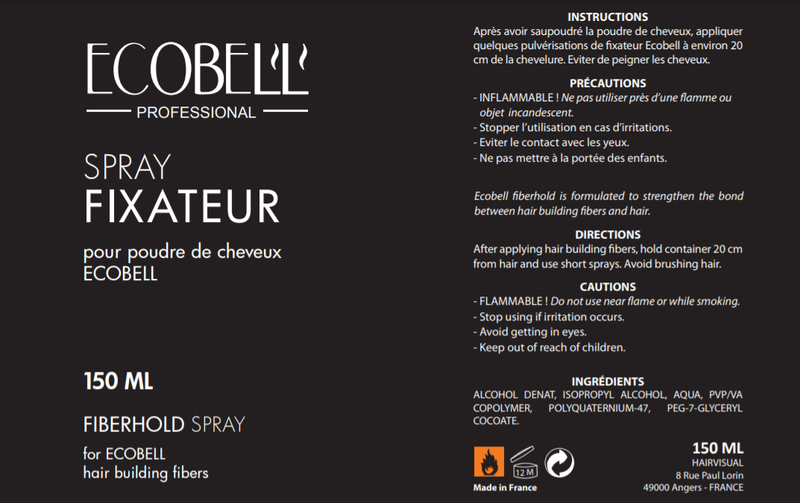 Ecobell Fiberhold Spray works through reinforcing the bond between Ecobell Hair Fibers and your natural hair. This bond allows you to maintain the appearance of thicker and healthier hair throughout the day with no need for additional touch ups or maintenance. The Fiberhold Spray also goes a long way in reinforcing the durability of the hair fibres and maintaining their position throughout even the most demanding of activities. 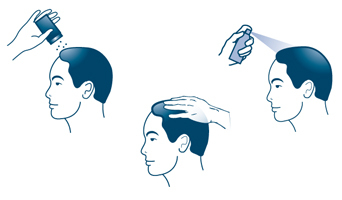 The fixative Ecobell enough for 30 to 50 applications depending on the extent of baldness to hide. Unlike ordinary hairspray, Ecobell Fiberhold is without gas. It provides excellent performance and last for several days.